During the High Middle Ages the peripheral areas of the Bohemian Massif extended as far as a day's footmarch and were covered with forests which were almost impenetrable. Only a few footpaths and wagon trails crossed it such as the old-famous "Golden Steig" from Passau through the valley of the Ilz or the trail from Silesia at Liebau to Nachod. These routes did not only carry the trade with a multitude of goods, they also brought settlers into the forest and mountain areas. Their harbingers were the clergymen, traders, princesses, noblemen and monks whom the Bohemian court had invited into the land. The German colonization unfolded with enormous impact around the middle of the 13th century. It progressed in three parallel streams of crafts, husbandry and mining. Most often a "Lokator" was hired by the sovereign to settle colonizers on a designated piece of land. . His organisational endeavors usually were awarded with the hereditary title of magistrate and a guesthouse license as a commission. The newly founded towns and localities were subject to the legal systems of the towns and villages from where the settlers came. The development and administration of German towns became a model for the construction of the Bohemian towns. King Ottokar II evidently saw the German colonization as a means of scaling down the nobility and for increasing his financial and political power. In addition, towns made bids on their own for colonists and established villages to fill their need for an agrarian back country. This led nearly everywhere to the emergence of groups of towns and villages entailing a rapid growth of the German-speaking population. Immigration from various regions of the Empire is the source for the various Sudetengerman dialects and to some extend for the differing architectural styles as well. The names of villages provide distinct evidence of older Slavic origins (-itz) or of younger ones related to colonization (-dorf, -berg, -wald). Newly founded German settlements were usually named by the locator or the settlers chose a name related to the landscape, whereas the Slavic public retained an old castle or field name. This explains that the later introduced official bilingualism often led to German and Czech place names the meanings of which do not reveal a relation. Northern Bohemia was settled mostly by Lausitzers whose dialect with a rolling "R" remained a distinctive mark over centuries. Many monasteries and monastic orders took part in the colonization. The practically unpopulated peripheral areas of Bohemia as well as South- and North-Moravia were settled, developed and cultivated by settlers since the 12th century from almost all German regions, but predominantly from adjacent ones. The German colonization, the founding of cities, the development of mining for silver and a wealth of other minerals made the kingdom of Bohemia indisputably the empire's most important duchy which expanded its influence from the Baltic to the Adriatic Sea. Who would know that Königsberg, East Prussia, was founded by Ottokar II and that his name is embodied in Ottakring, a suburb of Vienna. Undeniably, the Bohemian kingdom also benefited from the weakness of the empire during the "dreadful interregnum" (1256-1273). At the peak of his power, Ottokar II saw his plans thwarted by the election of Rudolf von Habsburg as German king. In a fight for power, he was defeated and lost his life (battle of Marchfeld). His son and grandson were not predestinated to good fortune. With them the male lineage of the Przemyslids died out and unruly times followed. Nearly anarchic conditions arose under Heinrich von Kärnten. Nobility and burghers fought each other and moved the king back and forth like a chess board figure. The burghers of the cities demanded a voice in the Landtag, the nobility refused. 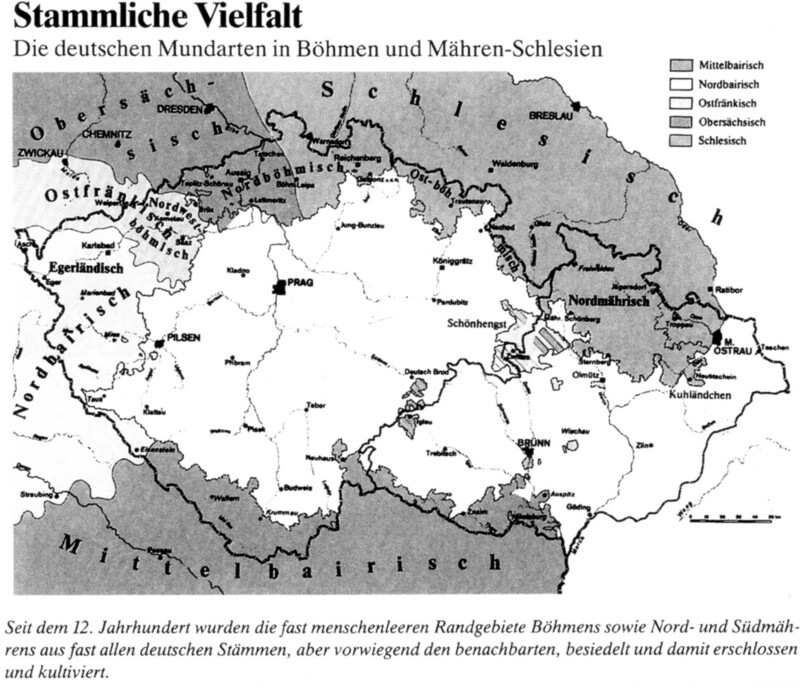 This was the first national conflict in Bohemia, for the burghers were Germans, the nobility mostly Czech.